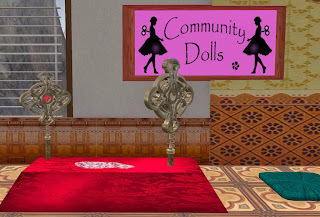 A tip from Pet led us to a Doll Key and a thriving community of dolls, living at the Dolly Dreams SIM. We were lucky enough to run into one of the owners, Jo Ronin, who is also an old friend and pony correspondent. Jo filled us in on the history of the group: started in 2009, it started as a place based around RLV transformations, and eventually evolved into the current dolls group. Ohh and best thing about it, its free…. always the best price. You can read the key manual here. 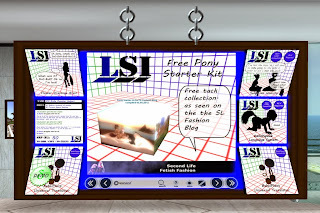 As we wandered around Dolly Dreams, we came across LSI Laboratories, Jo’s own store. She makes clever speech and hearing restriction toys, and we were pleased to see she still gives her free pony starter kit. 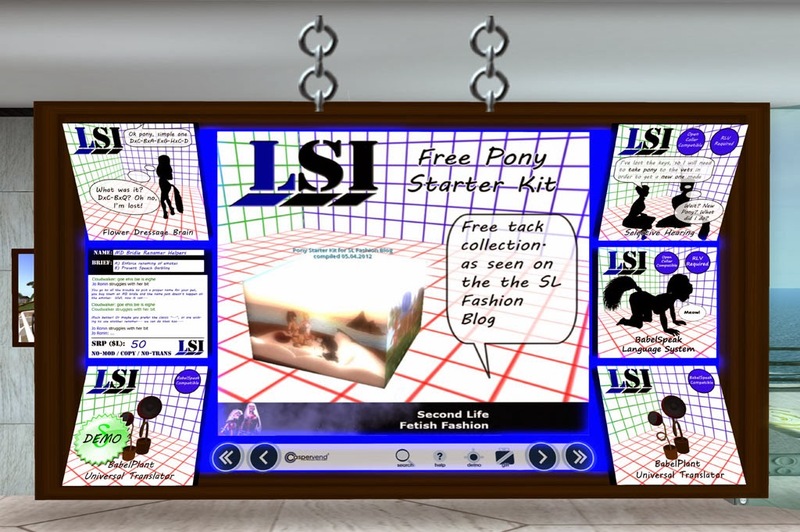 See the link for the updated SLURL. So visit Dolly Dreams, get a key, join a large active doll group, read the web site, and pick up some good free tack.